Where We Do It | Truitt Insurance & Bonding, Inc.
Truitt Insurance & Bonding has always looked at the entire state of Alabama as our operating territory. Going border-to-border, from the Tennessee line to the coast, we have spent almost a quarter of a century criss-crossing the state working with contractors, lumber mills, commercial property owners, and a lot of other types of businesses. Our roots are in Conecuh County & Tallapoosa County. We are based in Birmingham. We have recently opened an office in Baldwin County. We are hopeful our future has more locations throughout this state in it. Alabama is our home. We are proud of it and always want to be a part of it. We are going to do our everything possible to be one of its success stories. 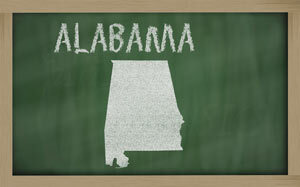 While we work primarily with people and businesses located in Alabama, we have insured and/or bonded projects pretty much all over the country at some point. From Florida to Oregon, Connecticut to New Mexico, if you need coverage there, we can help. We either currently possess or can easily obtain the necessary state licenses to take us throughout the 50 states and elsewhere as the need arises. Wherever your business may take you, we are capable of working with you to make certain you never miss a beat.